Following the acceptance of athleisure and normcore within the past couple of years, Utility/Workwear has had its own steady rise in the trend cycle since 2017 (and yes, it still lacks a catchy little name). Like the trends that preceded it, utility/workwear is only the latest to challenge conventional ideas of luxury. Athleisure has enabled biker shorts to become an acceptable pair with heels, and Normcore has allowed for the return of the Nike Monarch IV beyond caucasian dads. In 2017 traditional workwear brands like Dickies and Carhartt were picked up by streetwear brands like Opening Ceremony and Vetements for special collaborations. This popularization of classic American workwear in streetstyle didn’t happen overnight, Carhartt made its own crossover into streetwear when the brand founded it’s lifestyle division in 1994. The crossover of workwear brands into streetwear is not a story we haven’t heard before. Jeans, which have become a universal fashion staple were originally purposed for workwear. After being widely used among builders, railway workers, and farmers in 19th century, denim was adopted by youth subcultures in the 20th century and eventually made into the stores of designers like Gucci and Calvin Klein by the 70s and 80s. The current utility/workwear trend has evolved into the adoption of what often resembles the high-vis garments you might see on a construction site. 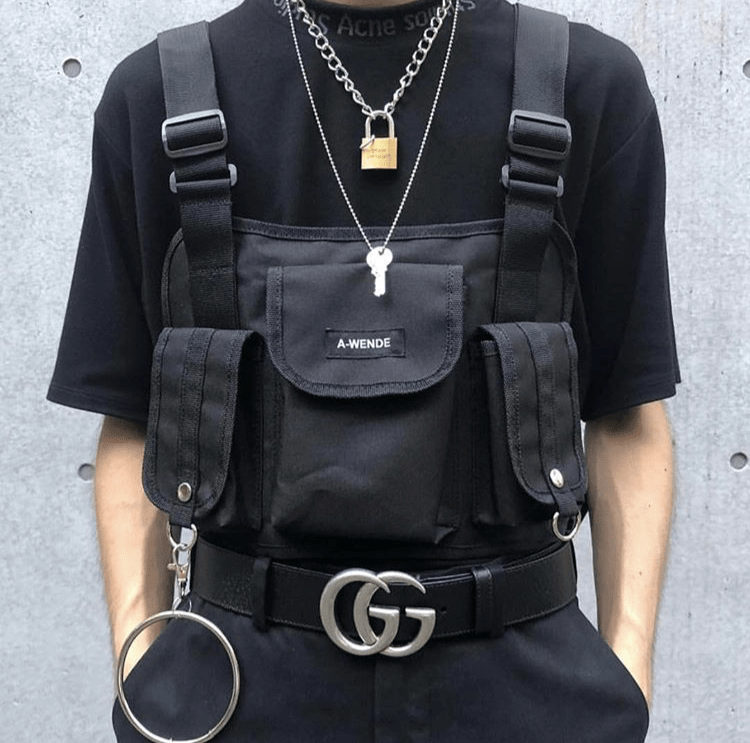 It seems as though Instagram streetstyle and Hypebeast culture have taken queues from construction site styles with the adoption of utility vests, carpenter pants, cargo pockets, decorative hardware, reflective panels, and neon color palettes. Calvin Klein’s FW18 collection included a full on fireman inspired look and this year’s SS19 runway shows showcased utility belts and cargo pockets from Fendi, and a number of utility/workwear inspired looks from Louis Vuitton including a neon orange utility vest. Virgil Abloh’s utility inspired pieces in Louis Vuitton’s SS19 show were not his first dip into the trend. 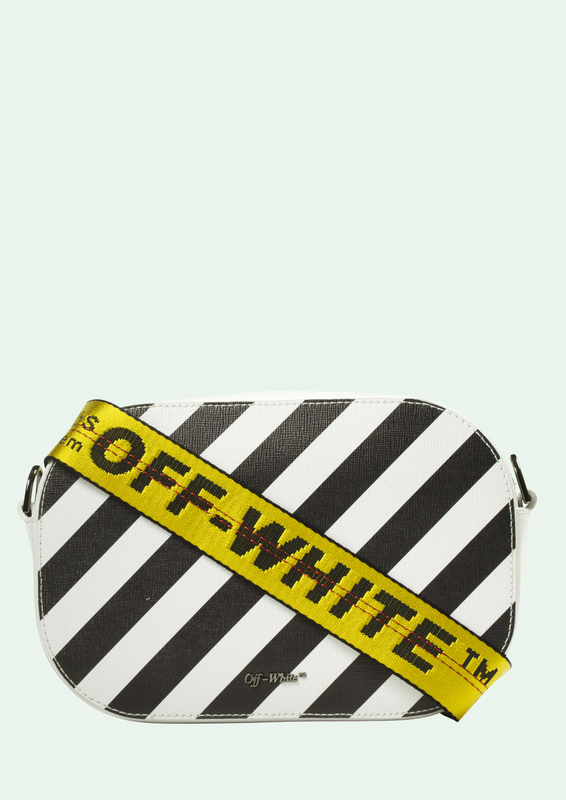 Beginning in 2012, Abloh’s own luxury streetwear brand, Off-White produced pieces that took inspiration from industrial aesthetics. With his growing influence in the industry and beyond, it’s no doubt that his brand has played a role in the trend’s rise. What separates Abloh’s previous work from the utility inspired pieces we’ve seen this season is the subtlety of his inspiration. So far Off-White’s industrial inspiration has not gone much further than caution stripes and factory labelling. 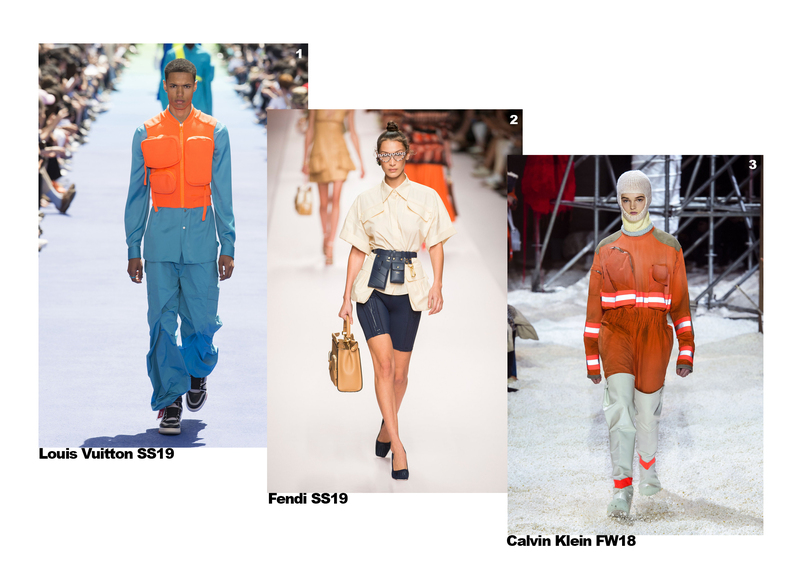 In more recent seasons we have seen pieces from across the runway that look more like elevated replications of utility/workwear than subtle inspiration. In recent history the upward flow theory which says that trends begin with younger low-income groups and are then adopted by high-income groups has become the most prevalent theory of fashion adoption. But as the utility/workwear trend follows this pattern, it’s hard not to notice the irony in it. The trend is arguably the antithesis of luxury high fashion. To put it frankly, high fashion’s adoption of workwear juxtaposes symbols of blue-collar livelihoods into leisure for the rich. It’s clear that none of these high fashion spins on workwear are actually meant for labor. The Carhartt x Vetements shirt jacket retails for just under $1,000. No one rocking a Fendi utility belt or a Louis Vuitton utility vest is here to fix the sink. So is the trend simply a repetition of history? Or is this high fashion’s latest form of appropriation? The word appropriation almost always implies appropriation of national or ethnic culture, and high fashion is no stranger to that. In 2016 we saw Marc Jacobs take heat for styling white models with dreadlocks, and we saw Moschino called out for its irresponsible use of Hindu iconography. But in this case, the adoption of the utility/workwear trend appropriates symbols of blue-collar livelihood. We’ve seen similar phenomenons with Kanye West’s early Yeezy collections which bluntly stated, resembled distressed Gildan sweats with an earthy color palette. Frankly, these styles could easily be read as an appropriation of working class life as well. Why is this problematic? Though the meaning behind these styles doesn’t hold the same cultural significance as dreadlocks or the religious significance of Hindu icons, there are implications behind their use in high fashion. When high end brands capitalize on styles originally purposed for working class labor, it detracts from the often grueling work behind blue collar jobs and makes light of the large economic gap between the working class and high fashion consumers who are most commonly upper class. But what about denim? Denim has followed a largely similar path to the utility/workwear trend. Both have made their way from laborers, to youth subcultures, and then to the runway. Nobody is saying we have to ditch denim in 2019, it’s just one of many styles that have loaded histories. It’s important to note that overtime many of these styles have lost their original purposes. Today, denim is more associated with casual wear than any kind of physical labor. That’s not said to be an excuse; in 2018 we have access to information like no other generations have. At the click of a button we can get a crash course on unethical manufacturing or cultural appropriation. The paradoxical trend stands in a unique position among other ethical problems in fashion, as it interacts directly with the inaccessibility of high fashion to the working class. With the size of these brands it’s less than likely that they will be held accountable for these issues or even make note of them. As awareness of issues like this is becoming more accessible through the internet, it is ultimately our job to remain conscious of what we buy and what we wear. At the end of the day we, as consumers are responsible for which trends we participate in and give power to.